Haile’s latest film, the critically acclaimed Teza, focuses on the tumultuous years of the Mengistu era, as told by an idealistic Ethiopian doctor who recounts dreams and nightmares. Teza’s main character, Anberber, experiences nightmares reflecting back to the chaotic years in Ethiopia following the overthrow of Emperor Haile Selassie. Do you think this painful memory is also collectively shared by Anberber’s generation in the Diaspora? What memories do you have of that time? Are they reflected in your film? The film was shot in Ethiopia and Germany but the story was based here in America. It was first written for America. I remember long ago weekend meetings (of Ethiopians) at the international student center near UCLA or at UCLA. We left all the priorities of our personal life to meet on the issue of country. That is the most amazing experience, but at the same time, we were also feeding a very dangerous dogma to each other. A dogma that swallowed the very generation in its prime age. I was in these meetings. Of course, I got out at a certain point because I couldn’t digest my own tendencies of disappearing in this generational political culture. When we shot the film in Germany we shot in the actual place where Ethiopian students were meeting. It doesn’t matter where we were, Ethiopian men and women of my generation in Paris, in Rome, in Cologne or Frankfurt or Seattle, Washington, Chicago, Los Angeles, or San Francisco. They were doing the same activity and basically reading almost the same books, and these books were taken as Biblical prophecies to transform Ethiopia. And, in the end, we lost so many powerful Ethiopian young men. Brilliant young men and women were lost in this confusion, in this chaotic period. So I know vividly these people that I dedicate the film to. I remember their eyes and how genuine they were. These are not bad people. They were not selfish. They just disappeared in the chaos. Do you think the current generation is lost in the chaos of individualistic attitude? What is purpose of living? Let me put it this way…what is life in the eyes of a cinematographer? HG: Life is a cinema, constant journey of restlessness complexity, until the final rest. Life for me is constant struggle to have your say in this world to have your story be presented as a valid story. What is the main message that you want the audience to take away from this film? HG:The purpose of Teza is really like childhood morning dew. When I was growing up, I would sense the morning from the water caressing my legs while walking through the grass – the morning dew (English for Teza). This type of childhood experience is being lost, and so I am trying to preserve my childhood and I am trying to preserve my generation. And I am trying to remember the mistakes we made especially when we became brutal toward each other – shooting each other, killing each other. I don’t like killing, I never liked killing I don’t know how my generation made its cultural trademark to kill each other because of political differences. These are the reasons I try to work for myself first. People have to take it and see what it does for them, but for me, I am processing the whole confusion that I was part of. Is Teza historical fiction or is it based on a true story? What in particular inspired you to make the film? HG: Let me tell you, every time I go to Ethiopia I find mothers asking me to return their sons from the war. A war between two ‘families’ – Eritrea and Ethiopia. A woman who has ‘clogged’ her eyes crying for the past two or three years will lament “bring back my son to me. Can you give me my son? I don’t want your money, I want you to give me my son.” How does one deliver this woman’s request? You are only a filmmaker, you are not an army. How would you fulfill her request? This is the challenge that I face every time I go to Ethiopia. I am faced by the reality of peasants, working people, servants in homes – they all confront me. And so for me the film is like vomiting toxic. In doing so you exorcise your own. I don’t have the power to make people see my movie, I have no other agenda. If they see it I am grateful. To me, the primary task of this movie is to vomit it, now the inspiration is really my helplessness. Teza’s main character, Amberber, felt completely helpless in one scene when soldiers come to take a son, and the mother was saying give me back my son, he is not armed, he is just confused scholar who got back to his country to his mother, to his umbilical cord in search of his childhood. He is always walking in the landscape because that is where he grew up but the reality kept coming in front of him like a stage play. So, my inspiration is my inability to do something about what the Ethiopian people are going through, then and now. This is what my helplessness is. Other people have a more dramatic source of inspiration. My inspiration is me being helpless, powerless, not having enough resources. Teza said to have taken 14 years to make, why did it take so long? And what were the challenges in executing it? HG: Many Ethiopians in my view do not understand the power of culture. When Westerners make film they know it is about their collective culture. We, on the other hand, don’t see how significant it is to preserve our people’s culture, from day one, as it is invoked by descendents. As it resonates through the younger generation. We don’t invest on culture. For instance, Ethiopians in America, if they put twenty dollars a month aside for the transformation of Ethiopian art, for the preservation of Ethiopian culture and tradition, Ethiopia would also have a population that is mentally restructured and confident and capable of making its own history. To create a critically brilliant society you have to have a dramatic cultural transaction. Can you say a bit more about the leading actors in the film? How you found them and cast them? HG: None of the characters had acted before. Most of them came to me raw, but they had amazing potential and gift that I was able to say ‘Oh! This person will give me what I want.’ Some of the actors in the village, like the woman who plays Amberber’s mother, has never acted. She doesn’t even know what acting is, but she knocked people out because she was so genuine, truthful, and most of all she understood and felt the story. She lived in the era and I was able to work with her to get what I wanted. So, for me there is what you call ‘gift,’ and in filmmaking half of it is luck. You know, you try and sometimes you mis-cast. I am proud of the cast in Teza, and I didn’t care if they didn’t know acting because I was very confident of making sure that I don’t paralyze them by mystifying acting. I know how to demystify acting, that is part of my education my orientation. I practiced a lot even during Sankofa, Bush Mama, I made movies with non-actors and actors too. The non-actors have done amazing work, so for me when auditioning people I am looking untangle a range of talent, and get the best out of what I want rather than cast corrupted actors who will not be genuine. del Casino during the 65th Venice Film Festival on September 2, 2008 in Venice. HG: The problem with this question is that it is flawed. Favorite film doesn’t exist but what happens is, films inspire me. One of them is ‘The Hour of the Furnaces‘ from Argentina, but the most powerful film that resonates with my childhood experience is a Japanese film called The Island and another Swedish film called My Life as a Dog, and an Italian film called The Bicycle Thief. So it is a range of films – kind of like puzzle work. There are a lot of films that animated my life and resonated with me. You talk about the influence your parents had on you growing up and how it inspired you to become a storyteller, can you talk about that? HG: You know, when I was growing up we sat around the fire and my grandmother would always tell a story. And to me that is the foundation of film – storytelling. My father was a playwright and he wrote plays and I participated in different capacities in my father’s plays. And my mother was always full of stories and most nights we had no television, no film to go to. Our TV and TV dinner was fireside chats. Hearing stories from the elders played a major role in my development, as well as kept alive my continued quest to connect to their lifestyle, their aesthetics. I didn’t know it was important to do so then, but now I go out of my way to preserve it. To me, Ethiopia has a lot to offer to an artist. It is a country that has the audacity to invent without imitation. The storytelling is the kind of orientation that I am very blessed and grateful about. What advice do you have for young aspiring Ethiopian filmmakers? Or anyone that wants to prosper in the artistic world of cinematography? HG: One is to give your heart fully — to jump and get into it all the way. Not to apologize, not to be inhibited by going to school or not going to school. Or by ‘knowing’ film or not. If you have the urge to tell a story just jump with everything within you. But once you jump in, it is not enough to jump in, now you have to kick if you don’t want to drown, and so the hard work is the process of learning more by yourself through your work. Every film that I make is my university. I learn so much from my mistakes and I consider my films the most imperfect films because I am always learning to do better from film to film. The kind of filmmakers that young people should aspire to be is to consistently learn from their own films. Watch movies, study paintings and color. Color as simple as it sounds is complex. Understand culture that is fundamental. Film in the end is built in this powerful development of your sensory organs to light, to shadows. This doesn’t come just by wanting to be a filmmaker. You have to go out of your way. Young people should know that one doesn’t become a filmmaker individually but, rather from a collective view. Don’t forget not only to learn what to do but also learn what not to do as well. Many of your films are financed by independent sources outside the U.S or the community….what makes it easy for you to find funding outside but challenging in the U.S? HG: I got tired of asking people who don’t value my story to fund my films. In Europe, I found individuals who said ‘Let me join this guy.’ Yes, it takes me years to convince people. that is why it took fourteen years to find the money I needed to start filming in 2004. The first shooting took place in Ethiopia for eight weeks. Then it took me two more years to find the German part – six day shoot. In the end it is luck that I found intellectuals who were predisposed to my right to tell my story and that they want to be part of the storytelling. Mostly because I prefer low budget, I have more freedom to control my film. Even by American standards, I am the freest independent filmmaker who owns his own films. And if I enter into a relationship I never relinquish the power of the filmmaker where other people come to decide for me. I would rather have less money and more freedom. Where do you find the time and energy to do all this? HG: From the story, the story keeps me charged. Is there anything else you would like to share with our audience? HG: Thank you to Tadias. I know how you guys insist to exist. And I know how difficult it is for magazines to exist. I hope you guys continue to sustain, to struggle to be innovative, to find an alternative way of making sure that you don’t disintegrate and close and collapse. I am impressed that you are at least here in the cyber world – you exist. I am very impressed with that. Thank you so much Prof. Gerima and we wish you continued success! Gash Haile is a born storyteller and an attentive one at that. His characters are always complicated and confusing, yet educational. That’s why I consider him a teacher and an artist and a true independent filmmaker, in the literal sense of the word. My favorite line here: “I would rather have less money and more freedom.” For me, that’s a mark of a true artist. Allow me to congratulate Haile and his team on the success of Teza in Europe and Africa and for all the deserved awards it has collected. Are there any plans in the near future to bring Teza to the West Coast? If not, what can we do to make it happen in a University setting? “Ethiopia is a country that has the audacity to invent without imitation.” This is indeed a powerful statement. To me, Teza signifies Gashe Haile’s notion of the audacity of invention. It is about yeagerun serdo beageru bere. It is also about believing in ourselves and in our cultures. Gashe Halie did play his role magnificently to remember that generation and he has challenged us all to read that generation’s experience to pick some lessons about us and about our country. That generation took a bend to destruction by trusting communism as a recipe to cure our ills. Now, another generation is taking a new bend by selling its soul to materialism. Money is becoming the only religion around. We need to stand in the gap and give a wake up call before another destruction is consumed. Our God fearing forefathers were poor by western standards. But we haven’t yet grown up to treasure what they have passed to us with great sacrifice. What a sweet moment for Gashe Haile. Finally Ethiopians are welcoming him home as the long lost son and brother. There was a time that Haile was not endorsed or embraced by fellow Ethiopians of his generation. In fact many were disrespectful of him because of his views and ambitions as a young man to be a filmmaker. However, African-Americans have been the biggest supporters of Professor Haile and received and continues to receive big love for Sankofa and others . I am glad to see that Haile is telling his story and Ethiopians are listening. What a beautiful thing after a long, difficult, and lonely journey as an artist. I agree with Ayele Bekerie that “Teza signifies Gashe Haile’s notion of the audacity of invention.” Congratulations Gash Haile! I feel that this film is in many ways, not only about humans caught in the workings of a revolution, but in itself a revolution. It has won major prizes in the west but its the way that Africans have responded that really reflects its importance. Who would have known that when we tell our own stories, stories with beauty and depth bound within our traditions, others would be listening? This is an act of courage, an act of saying to Africa, to Ethiopia, you matter and exist within yourself. Wonderful. oh that was a wonderful movie. It is awesome. I feel it is too pessimistic! Don’t get me wrong I love Haile and I think he is a brilliant filmmaker. However, I feel the subject matters that he invokes are too harsh, too painful, too complicated, they focus on the negative aspects of life. True, they are based on realities and historical facts. But they are always peppered with Haile’s gloomiest possible view. I am hoping the next big hit from Haile will be a comedy:-) Nonetheless, I always watch his movies because I think he is great. As to Teza, it is universal story of love, loss, innocence, idealism, courage, defeat, and of course, the unnecessary barbaric-violence. People, take note. Well done! It took me a while to realize the “t” is explosive in Teza [meaning Dew]. Now that Ato Haile has depicted Derg-era atrocities, he should likewise turn his camera on current conditions in Ethiopia. I have not gotten a chance to watch the movie yet, and to be honest, until recently, I did not even have the fortune to know about Haile Gerima other than the fact that he made a movie I saw bits and pieces of a long time ago. I always heard his name, but never took the time to know about him, and through knowing about him, to know about me and the connection to Ethiopia. I was fortunate enough to talk for a few minutes with him recently, and I find his humility and his intellect mind boggling. I often get discouraged when I see purported “leaders” who claim the mantle of leadership while sitting on their arses. Then once in a while I run into a man like Haile Germa, and I realize that negative experiences should never overshadow the blessings of positive interactions. And what Gash Gerima said is so true, the young generation, the next generation of Ethiopians have the power inherent in us to make a tremendous impact in our community and beyond. Too often though, we let our negative experiences be our crutch for our inaction and our frustration be validation for our inertia. Reading this article in between coffee and an excel spreadsheet gave me pause, because I hear in Haile’s voice a clarion call for action, it is up to us to choose if we are the lost generation, if we will let our self-centered and ego-driven selves destroy the good that exists in our community, or if we shed the burden of past failures and clutch onto a branch of unity. I hope, Gash Haile, that your words serve to motivate one person for even a few minutes to reassess and take action. Through your words, I was able to identify a weakness in my own persona, I hope you reach others through your words and through their prisms of thoughts. 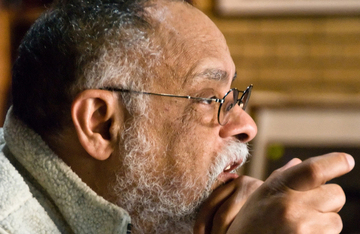 Although I am not Ethiopian by birth I am deeply connected and involved with Ethiopian people, culture, affairs and lifestyles and I admire the accomplishments of a filmmaker such as Haile Gerima, as well as other Ethiopian artists, athletes and scientists. Teza stands out as a great testament to this particular movie-makers vision, wisdom and intelligence and I am even more proud of the fact that he was interviewed by an Ethiopian female journalist. Gobez! It is a great moment when a “star” movie-maker is interviewed by one of his own people, especially one with such astute, wide ranging and insightful questions as Ms Tegegn. It was an absolute pleasure to read this article. I wish Mr Gerima well and all the best to Ms Tegegn who seems to have a great future ahead of her, if not already an accomplished career. I look forward to seeing her work in the Washington Post, Time Magazine or other international publications. How can we contact Haile Gerima? Where can we purchase his movies ? Has he written books ? Thank you for this article. But most importantly Gashe Haile Girma, thank you is not enough for your efforts in making this film. I sat watching the film with my parents and my grandmother. Both of my parents could recall what happened in the film as it reflected much of what they had long had in their memories. Their life and mine has been revealed in the film like never before on the big screen. Gashe, I could go on and and on about how the film made me feel but it is not the time and place I think to be honest. But I do have one question, could you please teach me more of my history please? Gash Haile is one of an incredible, intellectual and true Ethiopian that I’m proud of him. I have one question for him. What are you doing to share the immense knowledge that you have to the young generation of Ethiopia. I believe there are Ethiopians with a great potential but they are left with little opportunities, don’t you think they require your unreserved support??? I assume we have to nurture our people so that we will have few Haile Gerima if not many. Wish you all the best and long life to you !!!! Prof. Gerima, is one in a million. He is a true Ethiopian. God bless him! Our history has been snatched and told by the non Ethiopians and we believe that version but which is wrong and misrepresenting. I can give you some tips about the Ethiopian philosopher Zeareayakob, but even we don’t accepted him yet as a thinker. 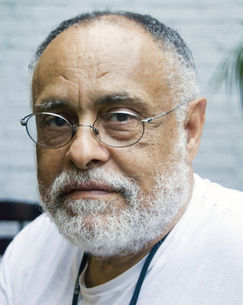 We are honored to have new philosopher ato Haile Gerima. He is not only a filmmaker and story teller, but also a narrator and a shining constellations of Andromeda, Cassiopeia, Perseus and Cepheus with his films Teza, Adwa, Bush Mama and Sankofa. Long live Haile, you said it well “I would rather have less money and more freedom” Many film makers had great ideas but lost control of their story due to their financial strugle, as a result, those with the money get to decide what to make of the movie. Gash Haile is far the greatest Ethiopian filmmaker, philosopher, and teacher. He challenges us to question the purpose of our existence. The great philosopher Socrates once said “The unexamined life is not worth living” by examining, he means asking question like why do we exist,what is our purpose in this world, being a good citizen? Haile is living the examined life. He proved it by choosing to direct his film with less money than sell his story to other with more money. As I see it, for Haile, the most important thing is passing the message as genuine as it can be. He was right when he said the new generation is materialistic. we value our car, house or even clothes more than we value our culture. Maybe it is time we start listining to wise individuals like gash Haile.